Ladies and Gentlemen, mark your calendars! 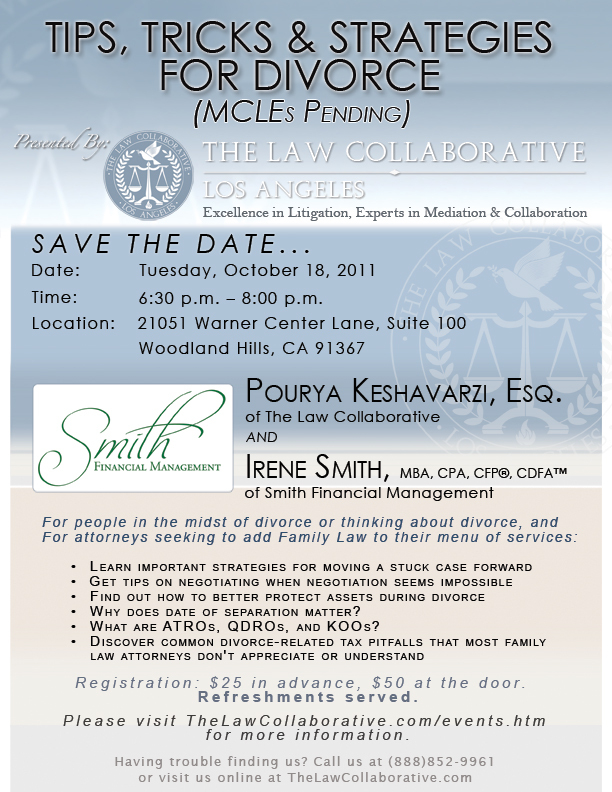 The Law Collaborative, LLC is pleased to announce Tips, Tricks & Strategies for Divorce, a 90 minute interactive seminar on Tuesday, October 18, 2011 at 6:30 p.m. Pourya Keshavarzi, Esquire, and Irene Smith, MBA, CPA, CFP, CDFA are founts of knowledge with some very important information to share. 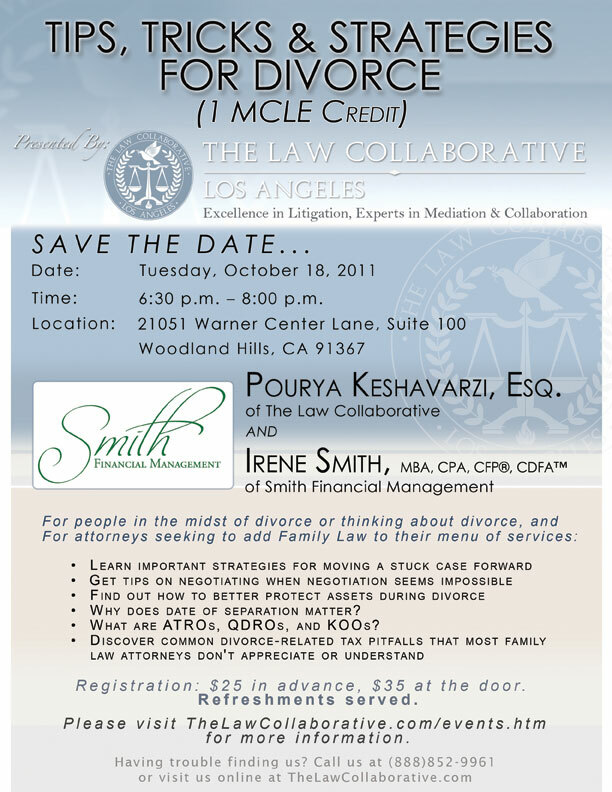 Are you in the midst of a divorce but feel like your case is going nowhere? 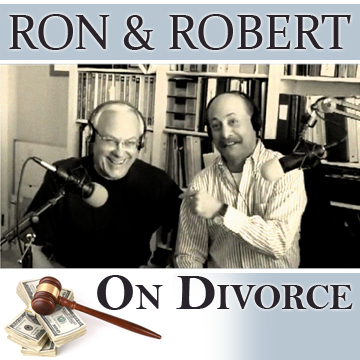 Is your ex making negotiations impossible? Do you feel like your lawyer speaks to you in a foreign language? Then this seminar is for you. 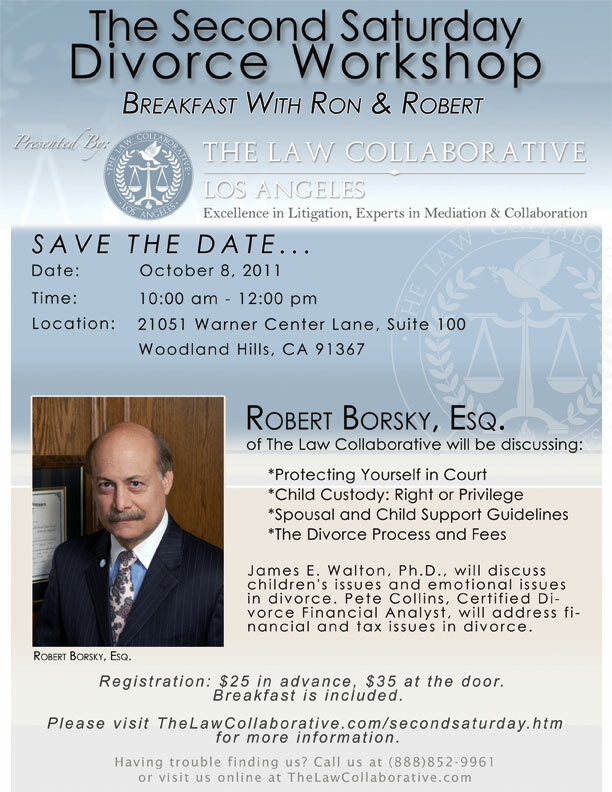 Or maybe you’re a lawyer who wants to add Family Law to your menu of services. 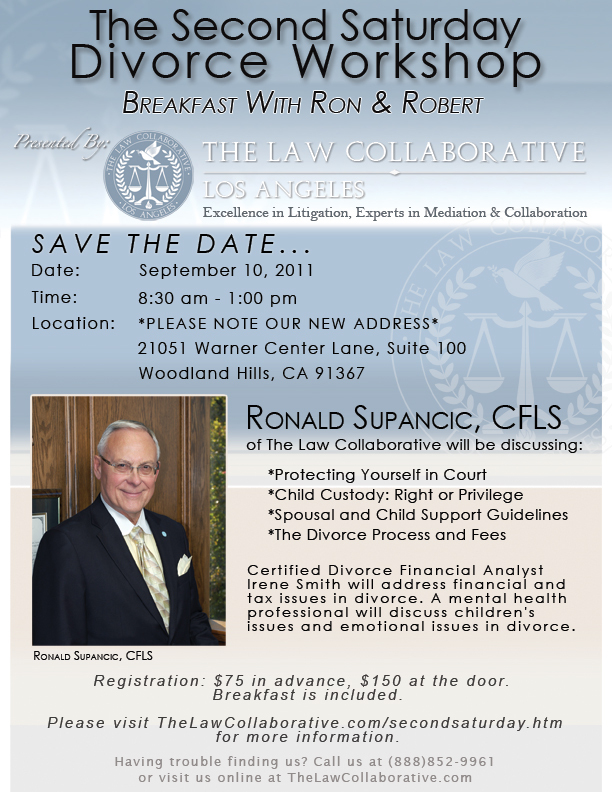 Not only will you learn a lot from this seminar, but you’ll earn MCLEs, too. 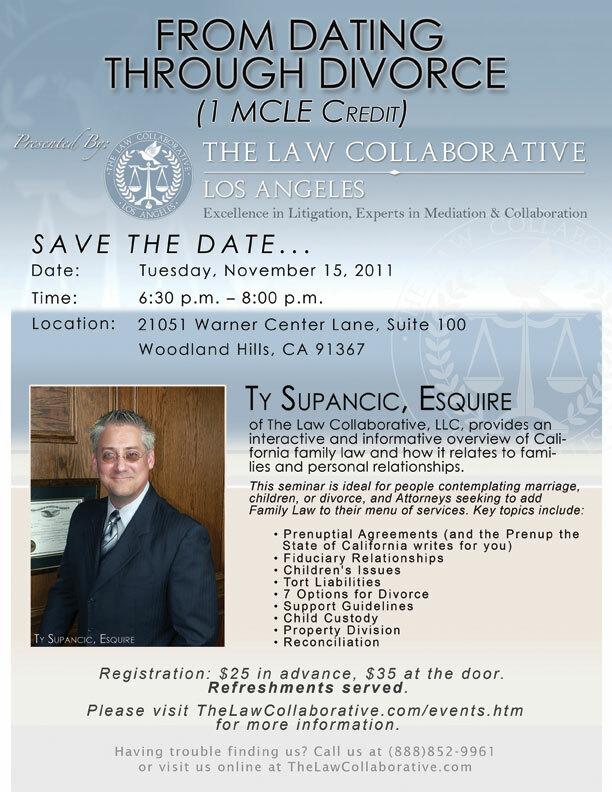 Visit www.thelawcollaborative.com/events.htm and register today for just $25.